Ascending Butterfly: The Help - Whatever you do, do NOT miss this movie! The Help - Whatever you do, do NOT miss this movie! I usually tend to read the book BEFORE I see the movie, but this is the first instance where I've viewed a movie based on a book before reading the book. This is definitely a first for me, and I have to say SO worth it. After a summer of mostly 3D and CGI, I was absolutely ready for something 'real' and 'raw', something that not only tugged at the heartstrings, but had real 'meat' to it, and The Help did not disappoint. 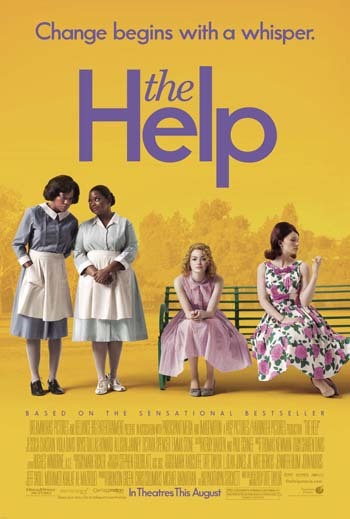 The Help is a movie with a simple yet very powerful tagline: Change Starts with a Whisper. And so it does. 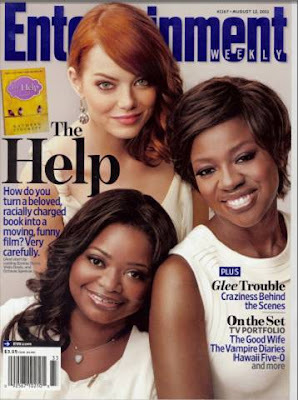 Based on one of the most talked about books in years and a #1 New York Times best-selling phenomenon, “The Help” stars Emma Stone (“Easy A”) as Skeeter, Academy Award®–nominated Viola Davis (“Doubt”) as Aibileen and Octavia Spencer as Minny—three very different, extraordinary women in Mississippi during the 1960s, who build an unlikely friendship around a secret writing project that breaks societal rules and puts them all at risk. From their improbable alliance a remarkable sisterhood emerges, instilling all of them with the courage to transcend the lines that define them, and the realization that sometimes those lines are made to be crossed—even if it means bringing everyone in town face-to-face with the changing times. Deeply moving, filled with poignancy, humor and hope, “The Help” is a timeless and universal story about the ability to create change. It's not just the ability to create the change that's the story, it's the courage to create it both within and without! While the entire movie is expertly cast, look for Jessica Chastain (pictured above) she's a real scene stealer, she plays the character Celia Foote, and she gives the character tremendous depth, humor and spirit! and as a 'Truebie' I was also excited to spot Nelsan Ellis (who portrays Lafayette Renolds on True Blood) in another disney movie (he was also in Secretariat), Nelsan is a great chameleon who really throws himeself into his roles, and he is always fun to watch. I know most people cite the 'leads' but this is a well rounded cast, and every single character brings this movie a tremendous amount of depth, feeling and emotion. THE HELP opens in theatres everywhere on Aug 10th. Butterflies, what ever you do, do NOT miss this movie! I'm leaving this thread open, because I'd love everyone to come back here and comment when they've seen it! FTC Disclosure: This is NOT a sponsored post. I attended the New York Press Screening of The Help movie. All opinions about the movie are my own and have not been influenced in any way! An Amazon Affiliate Link has been provided to the book. I LOVED the book. Will definitely see the movie!Thanks for your review! can't wait ~ I have heard such good things about it! Good Tuesday afternoon to you,Tracy. I loved the book, and am going to see the movie this weekend! Just came by to say hello, to thank you for visiting my blog, and to wish you GOOD LUCK on my $300 dollar PF Chang's Gift Card Giveaway this week! i can't afford to go to the theater, but am looking forward to seeing this when it comes out on DVD. I watch the trailer every time it's on tv! can't wait! looks like the ultimate chick flick! @Carolina - Thank You, it takes one heck of a movie for me to rave that hard! 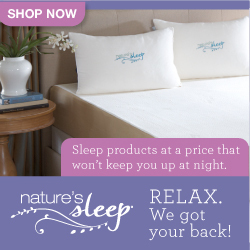 I will check out your giveaway, I'm behind on my blog reading for sure! @Hungrigyrl - I haven't read the book yet, but I definitely plan to so I can see if I still feel the same way about the casting! You definitely should read the books also! I'm hitting the theaters tonight to watch the movie. SO excited. Thanks for the visit & follow @ Life or Something Like It. Following back via GFC.